Be a new startup, with limited knowledge about app development companies. Know what to look for in a company, but there are just too many of them. If you belong to the first group, you’re likely getting more confused with every new company you come across; each one telling you that they are the best in the industry. And if you’re among the other one, evaluating all the companies against multiple parameters would be a tough job, due to the huge number of candidates. And even if you manage to sort out a top list based on reputation, your evaluation might still be tougher in this case. For instance, a top app development company which has made a name, building apps for multiple platforms, may not be the best for a specific one. Regardless of which group you belong to, the below curated list of top iOS app development companies will help you narrow down your search to a great degree. For each company in the list, we have considered several factors — like, experience, expertize, size, budget, activities, influential people in the company, and lots more — that you’d need to consider while picking the most suitable candidate. We have invested a lot of research in this list below. And each one of them deserves your attention, based on your specific preferences. So, you might want to read through every detail, in order to gain a better insight. We hope the list will save your valuable time! The first thing you’ll notice about Fueled is that they are a team of passionate developers, designers and strategists, who deliver the best quality apps in the industry. Established in 2007, Fueled has designed and developed many award-winning iOS apps for some of the top startups and enterprises. They are also careful about hand-picking only the best projects. Each app idea goes through a rigorous vetting process. Only when it’s been polished and streamlined enough, does it go into design and development. Fueled is also one of the costliest app development firms in the industry. However, you also do get the best possible results that you can ask for. So, if you have a groundbreaking app idea, and you don’t mind spending a considerable amount to see it through successful implementation, Fueled is the one company you should be looking at. Key clients: Apple, Google, Verizon, HBO, MTV, Ducati, Porsche, American Express, QuizUp, Warby Parker, happify, KeyMe, sunnycomb, etc. Popular apps: Warby Parker, Verizon, Barney’s, Dayo, Athlete Minder, etc. Y Media Labs has a group of talented designers, developers and strategists who are daring enough to represent the big names in the industry. They partner with big brands to create products that have a lasting impact. They help their clients uncover the true potential of a product, and empower them to dream bigger. Y Media Labs focuses on innovation, proactive implementation, and a rich user experience. Their work has been featured by Apple, Business Insider, TechCrunch, Forbes and Mashable among others. Key clients: KeyBank, Facebook, Apple, PayPal, L’Oreal, Staples, Symantec, ebay, etc. Popular apps: PayPal, L’Oreal, Intro to Letters, Syncplicity by EMC, Nom Nom Paleo, Staples, Bouqs, etc. WillowTree, Inc. is an industry-leading mobile product agency, focussing on building great experiences across a variety of mobile apps, on iOS as well as on other platforms. With talented mobile strategists, UX/UI designers, and software engineers under the wing, WillowTree has delivered more than 300 mobile solutions to the world’s leading enterprise and consumer-facing companies, including: General Electric, Johnson & Johnson, Time Warner, AOL, AEG, and Harvard Business Publishing, and more. WillowTree Apps is suitable for building apps for large company projects, as they have a large experienced team who have worked on a wide variety of projects. Key clients: Time Warner, GE, Pepsico, Wyndham Hotels, Johnson & Johnson, American Express, Nestle, Fox News, CBC, etc. Popular apps: Regal cinemas, CBC, Wyndham Mobile, BabyCentre, etc. Dom & Tom is an end to end digital product development agency, focussed on providing user experience and app development on web and mobile, including iOS and Android. With industry experience and proven research techniques, the team helps its clients to develop a clear strategy for success. Once the strategy has been defined, the designers and developers work collaboratively to deliver a high quality product. Although initially starting off as a web development company, Dom & Tom has currently shifted its focus to building high quality iOS apps for medium to large scale enterprises, and has acquired quite a few well known clients in their portfolio. Dom & Tom has successfully delivered over 300 web projects and more than 110 mobile apps, most of which are built for iOS. Key clients: FitchRatings, GE, CitiBank, AARP, etc. Popular apps: Priceline, CliffsNotes, General Electric, Hearst Publications, Fitch Ratings, University of Oklahoma, Ideel, Appetizer, etc. Founded in 2007, hedgehog lab is a leading global enterprise app developer & post-PC technology consultancy. They have architected and developed mobile solutions and software for clients like News International, New England Sports Network, Financial Times, Statoil, Mitsubishi, etc. Key clients: Nasdaq, AzkoNobel, ShowReal, Mitsubishi, Financial Times, Channel 4, CVLT, etc. Popular apps: CVLT Fitness, Fitch Learning, Tenant Genie, AzkoNobel, ShowReal, etc. Established in 2011, Hyperlink Infosystem offers cost effective web and mobile solutions for its clients across the US, UK, Japan, Canada and other parts of the world. The company delivers projects on time without compromising the quality. Headquartered in Ahmedabad, India, the company also has offices in US, UK and Australia. Hyperlink Infosystem is being hailed as one of the fastest growing companies in its field. For a relatively young company, it has delivered projects for some of the world’s biggest media companies, such as Cartoon Network, Disney, CNBC, etc. It also offers its services at an economical rate, which is an important factor to be considered if you’re on a tight budget. Popular apps: Inclu Digital Banking, Hi Oscar, DogsterApp, Cool Charm, Jincky, FunCom, EventNod, ToDo Tix, Zombie Abomination, etc. QBurst is an app solutions and consulting company that develops web and mobile applications. It has a 850+ strong team comprising of mobile app developers, designers, UX engineers, quality assurance specialists, business analysts, and project management professionals. Together, the QBurst team has delivered over 650+ projects, and has a reputation of providing cost effective, yet high quality results. With an 850+ member strong team, QBurst covers a wide range of services from mobile app strategy and development to testing; that too, at a decent rate. You also get a dedicated team to work on your project round the clock, and get it delivered on time. Key clients: National Geographic, Dell, Omron, Allianz, AstraZeneca, Network18, etc. Relatively new to the competition, Ready4S is one of the highest rated mobile app developers in Europe and the USA. As of now, they have created around 65 mobile apps, with a 57 member experienced team spread across the US, UK, Poland and Ukraine and clients across 25+ countries featuring startups as well as enterprises. Ready4S has helped more than 50 startups to become successful. It has developed over 65 mobile apps which has scored 2,000,000+ downloads from the App Store. Additionally, Ready4S offers Economical MVP, a 20% partnership discount, along with a free demo week. Popular apps: Travel By Art, My Faith Network, Book Apart, Calori Control, Sidly Care, Vita Smart, Fritz Exchange, etc. 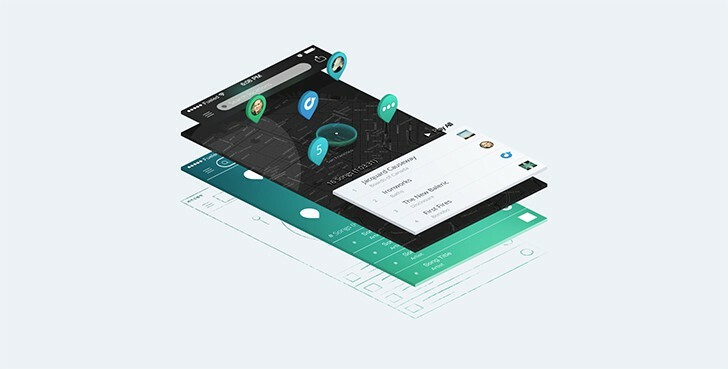 Part of July Systems, July Rapid is an award winning innovation and design focussed mobile app development company that has pioneered mobile experiences since 2001. The company has developed over 1000 in the course of 15 years, working with small businesses, funded startups and large enterprises to build fully-native or hybrid applications for iPhone, iPad, Android, IoT and Wearable devices. Appster is a full scale mobile & web app development firm with 390 people across 3 continents & offices in Silicon Valley (San Francisco), Melbourne (Australia), New York & India. They work with disruptive startups as the technical partner (without the equity). The company and its employees are tailored for Entrepreneurs and Fast-Growth Companies. Their clients have raised millions of dollars in Venture Capital fundings. Key clients: BlueDot, FirstJob, BuckitDream, ViewPop, Turtle, DTC, etc. Popular apps: BuckitDream, BlueDot, FirstJob, Wavework, MyOwnCFO, Realifex, SplashFlood, Turtle, Mood Tracker, Food Craze, etc. Established in 2008, ArcTouch is the leading mobile app development company based in San Francisco, California. In the seven years since, ArcTouch has built a team of more than 100 talented strategists, designers and engineers, and has since served up hundreds of apps for more than 150 world-class clients, including such as Walmart, Travelocity, Foursquare, MillerCoors, etc. Their services range from app strategy, design, engineering to lifecycle management. Key clients: Salesforce, Sony, Audi, Hobart, CBS, Adidas, Yahoo, Xoom, Nvidia, Symantec, etc. Popular apps: SkyJet, Audi, Hobart, Travelocity, Honeywell, Yahoo! Flickr, Yahoo! Messenger, Yahoo! Weather, CBS, etc. Founded in 2009, Savvy Apps is one of the most experienced mobile app development companies in this list. Through the years, they’ve earned the right to work with household names like PBS and The Motley Fool, as well as high-profile startups like Homesnap and LifeFuels. Many of these apps have regularly been featured by Apple, Google, and the industry as a whole. Key clients: The Motley Fool, NFLPA, PBS, CATO Institute, Navient, Homesnap, Musx, etc. Popular apps: PetPath, CATO Podcasts, Pocket Prep, LifeFuels, Savvy Weather, etc. Alty is software design and development company, focusing on mobile products. Since 2009, Alty has helped startups and businesses to enter the mobile space. The 8 years of experience has shipped more than 50 successful iPhone and iPad apps in the consumer and corporate markets. Over $28 Million has been invested in the products that Alty has built for startups. Key clients: CityHour, Zoomlee, Mockup.io, DevMate, GoRoam, Vox Music Player, etc. Popular apps: CityHour, Zoomlee, Mockup.io, Vox Music Player, etc. Established in 2009, MLSDev specializes in providing all-in-one solution in mobile and web development. They create awesome web and mobile apps for entrepreneurs and startups in a cost-effective and timely manner based on Lean philosophy. MSLDev also works according to agile methodologies to deliver the best results, reducing the budget for development and its timeline. It’s a Ukraine based company, with offices also in the US and Europe. Key clients: ESPN, McDonalds, GoPuff, Panasonic, Alpine, etc. Popular apps: McDonalds, Comfy, GoPuff, ReVisitor, etc. Innofied is an Award Winning web and mobile app development company, creating amazing products for hundreds of Business Owners. With a 100+ member team, over 120 happy clients , and 350+ projects delivered from around the world, Innofied has gained good reputation as a mobile app development company. Key clients: IMD Business School, ComradeAcademy, EngageMobile, SnappOrder, PivotPoint Enterprises, Pupil Aspire, etc. Popular apps: Octopull, Inno Ride, Catch ’n Match, Viapool, Tidi, Currencyhub, etc. If you have already worked with any of these companies before, do drop us a note on how working with them has been like. Your feedback might help other businesses to find the right mobile app development company, and these companies to find their next big client!